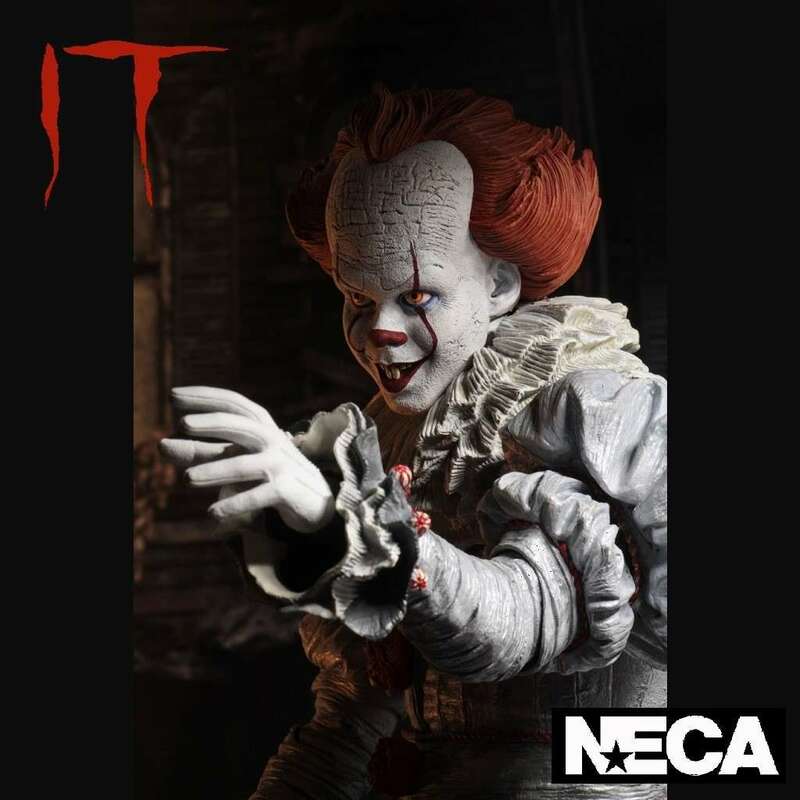 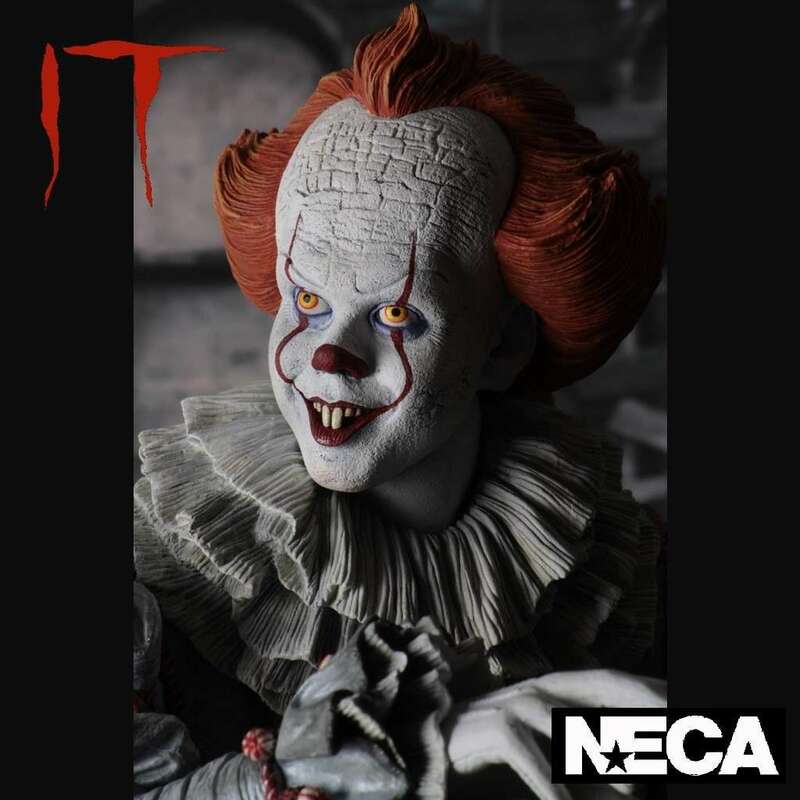 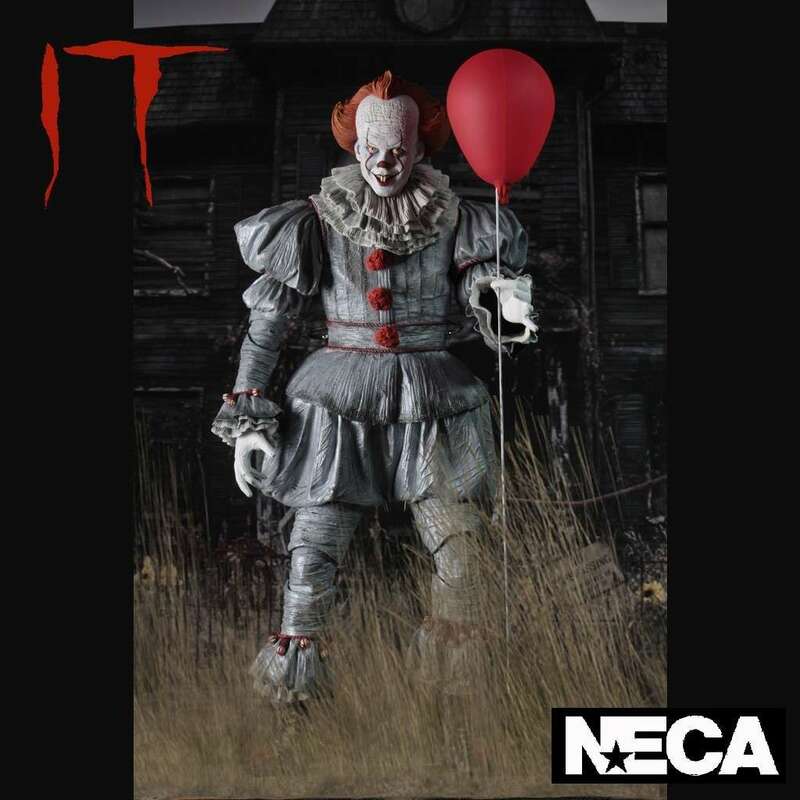 NECA presents the IT (2017) 1:4 scale version of Pennywise the Dancing Clown in action figure form and based on the character from the acclaimed horror film and the original novel by Stephen King. 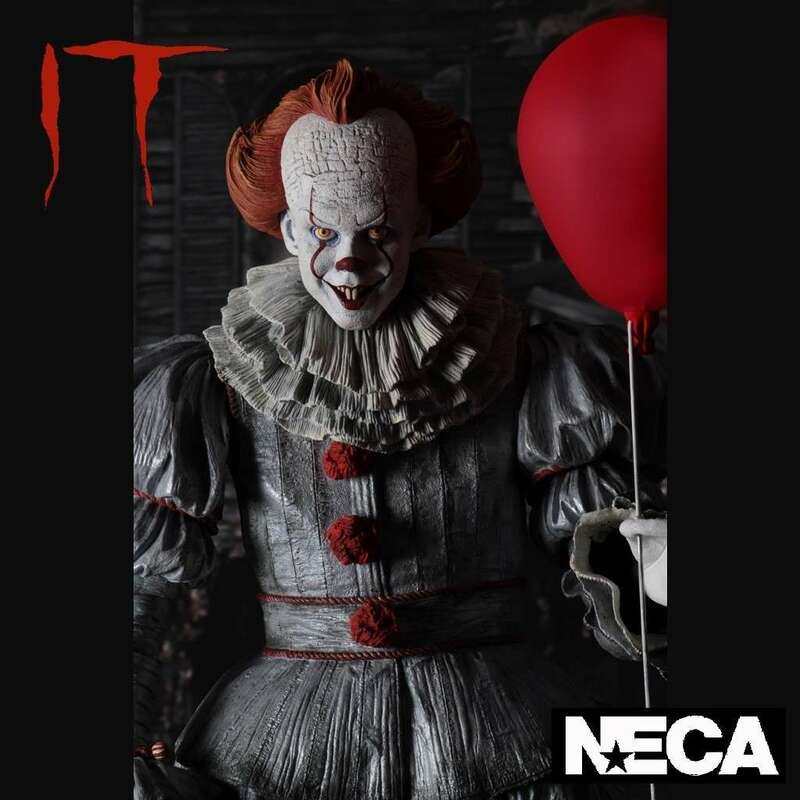 The 2017 version of the nightmare-inducing clown was portrayed by actor Bill Skarsgård and the figure stands at a menacing 18” tall. 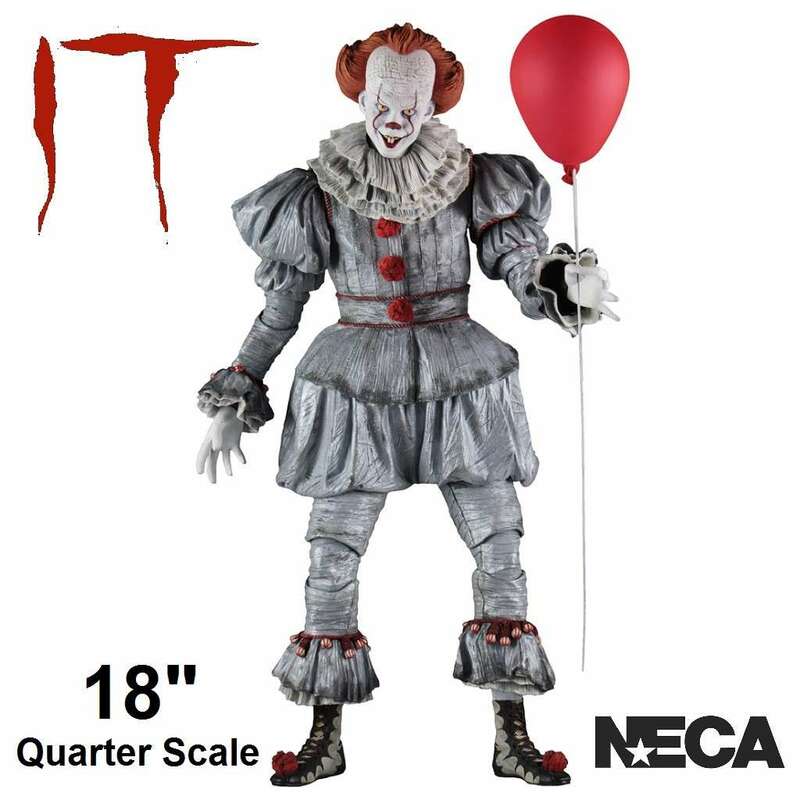 The details have been painstakingly created so the figure is as accurate to Pennywise’s elaborate costume as possible and to help you recreate those terrifying scenes from the movie, the figure is fully articulated and also features interchangeable hands and the signature red balloon.